“We’ll leave the light on for you...and starting now we won’t give your personal information away without a warrant.” Interesting new slogan, Motel 6. The highway exit stronghold has agreed to pay $12 million in a settlement with Washington state over a controversial policy—allegedly sharing the personal information of about 80,000 guests with immigration officials without the knowledge or permission of those customers. From 2015 to 2017, workers at seven separate WA Motel 6 locations regularly allowed Immigration and Customs Enforcement (ICE) agents access to personal information from every guest on the books. One man was spending the night in a Motel 6 to wrap Christmas gifts for his kids. He was approached by ICE agents in the parking lot and subsequently deported. Another was detained for six days after ICE approached him while making a car run to get milk for his infant. It wasn’t just in Washington. Some of the chain’s locations in Arizona had similar arrangements, and the Phoenix New Times reported ICE arrested 20 people at Motel 6 locations in the state. 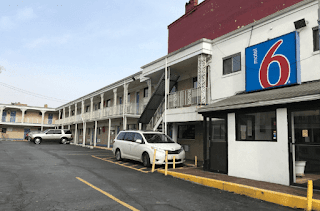 Motel 6, which is owned by the private equity firm Blackstone Group, said it will no longer hand over guest info without a subpoena or warrant, unless it deems someone to be in imminent danger. Zoom out: While $12 million is effectively a slap on the wrist, Motel 6 many now face the fallout of contracting (however discreetly) with the controversial ICE—just take the word of Microsoft and Deloitte, whose own employees criticized company partnerships with the agency. Interesting piece of news! Paying $12 million in a settlement with Washington state over this controversial policy will not be the only thing they have lost as I'm sure a lot of guests would start having doubts about going there to avoid a repeat of the situation. Jeez. That's a whole lot! Sharing the personal information of about 80,000 guests with immigration officials without the knowledge or permission of their customers sounds to me like a huge deal! I mean, if I was once a customer there, I would not take it lightly. Not to mention that it will be the end of my visit there or whatever. It's really not fair. Interesting new slogan. I hope Motel 6 can stick to this new policy they want to implement as I'm sure they have already lost customers as a result of what they did without their consent. Omg! The ICE agents used the information to detain and deport guests? That's huge I must say! It's not nice giving your information someone only to have them use it to track you or something. Hopefully they learn how bad it will affect their business. Last time I heard it was even more than nine Washington residents that were detained because of the Motel 6 arrangement. They may be trying to maintain security or whatever but I feel a disclaimer or something like that will go a long way. I'm just imagining what the story of the man spending the night in a Motel 6 to wrap Christmas gifts for his kids would have turned out to be. I'm just imagining being approached by ICE agents when I'm in the parking lot and then I find out I'm about to be deported all because I shared an information with a motel and I wasn't told it would be accessed by someone else. Not nice at all. Really? From 2015 to 2017? That's a long time! Workers at different WA Motel 6 locations regularly allowing Immigration and Customs Enforcement agents access to personal information from every guest on the books is not an entirely appropriate thing to do. But it's been done and I hope this change now.